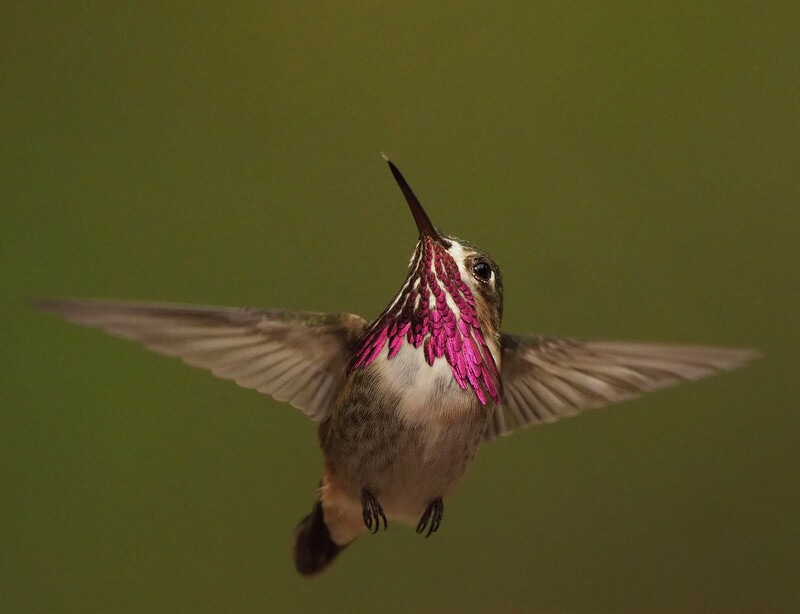 My Flickr contact Eugene Beckes posted this great image of a male calliope hummingbird. This is a tough image to get, amazing shot. In the northeast US, we have only ruby throated hummingbirds and ours are back in force now. The males are arguing over the two feeders and the women. Of course.